How Do I Stop A Foreclosure From Happening? The primary way in which you stop a home foreclosure is by filing a St. Louis Chapter 13 bankruptcy. Such a filing will stop the foreclosure sale, and put you into a sensible repayment plan to get caught up on the arrearage (i.e. the amount that you have fallen behind on). When you fall behind on your monthly mortgage payments (because of the loss of a job, or your hours were cut, or the bank increased your loan payments), your lender will eventually move towards a foreclosure. In the past (pre-2008), when you fell behind by about three payments, the bank would start the process. But since 2008 (which is to say, since the beginning of the Great Recession), banks and mortgage lenders are allowing people to go many months before they begin the foreclosure process. But either way, the bank will eventually seek to remedy the situation by foreclosing on your loan (which in turn allows them to sell your house to the highest bidder). Once you receive the foreclosure notice (which will undoubtedly by send via certified mail), you will have approximately thirty (30) days in which to act. If you take action before the sale date, then there is a chance to save your home with a St. Louis bankruptcy. An expert St. Louis bankruptcy lawyer can describe how the foreclosure defense system works, and how you can make sure that your home stays safe. So long as a St. Louis Chapter 13 is filed before the sale date, then the mortgage company will have to stop their efforts to move forward with the sale. This will then give you a chance to get caught up on the amount you have fallen behind on (which is far better than trying to come up with a one-time lump-sum to come current). In addition, the Missouri Chapter 13 gives you an opportunity to pay off car loans (sometimes with a lower interest rate), tax debt, back child support, and perhaps a portion of your unsecured debt (like St. Louis credit cards, medical bills, and payday loans). We have two locations: in the Central West End, at 1 North Taylor, St. Louis 63108; and in the Twin Cities of Festus / Crystal City, at 1000 Truman Blvd (Highway 61/67), Jefferson County 63019. 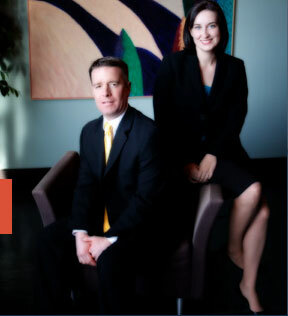 The initial consultation to discuss your debt related issues with an experienced St. Louis bankruptcy attorney is free of charge. So contact us today to learn more! !